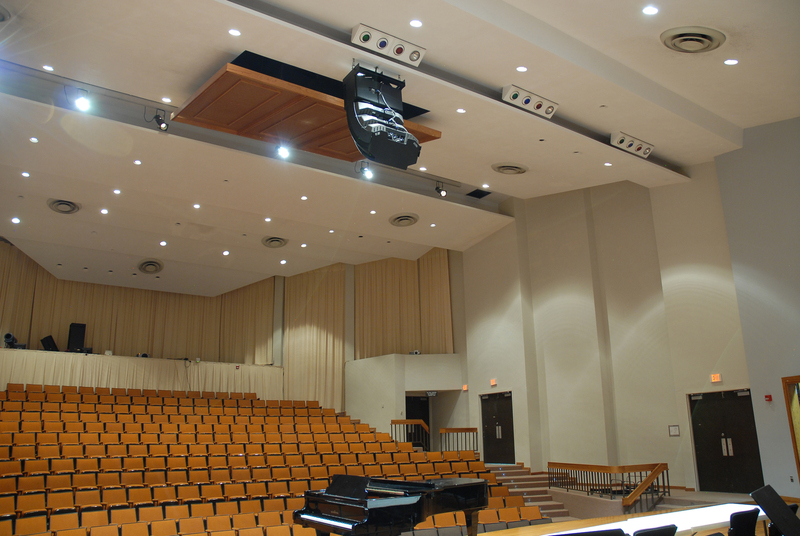 The Fine Arts Theater at Seminole State College of Florida’s Sanford/Lake Mary campus, featuring a RoomMatch® loudspeaker system from Bose® Professional. Framingham, Massachusetts, March 10, 2015 – The Fine Arts Theater at Seminole State College of Florida’s Sanford/Lake Mary campus isn’t huge — the performing arts center holds 160 on a raked seating array — but it’s the centerpiece of the school’s respected theater and music programs and is regarded as one of central Florida's finest cultural arts centers. 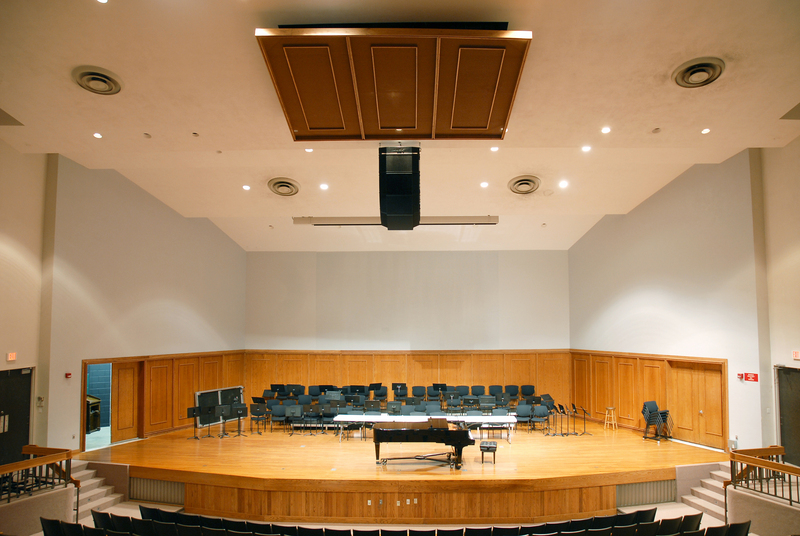 But what the Fine Arts Theater lacks in size it more than makes up for with its newly installed sound system consisting of RoomMatch® loudspeakers from Bose® Professional. Designed and installed by Sound Stage, Inc., a leading regional AV systems integrator based in Florida, the system comprises a single center cluster consisting of three RoomMatch modules — RM12020, RM9020 and RM7020 — topped by an RMS215 subwoofer. The system is powered by one Bose PowerMatch® PM8500 amplifier and utilizes a Bose ControlSpace® DSP control processor for speaker management. Photo Caption 1: The Fine Arts Theater at Seminole State College of Florida’s Sanford/Lake Mary campus, featuring a RoomMatch® loudspeaker system from Bose® Professional. Photo Caption 2: The Fine Arts Theater at Seminole State College of Florida’s Sanford/Lake Mary campus, featuring a RoomMatch® loudspeaker system from Bose® Professional. 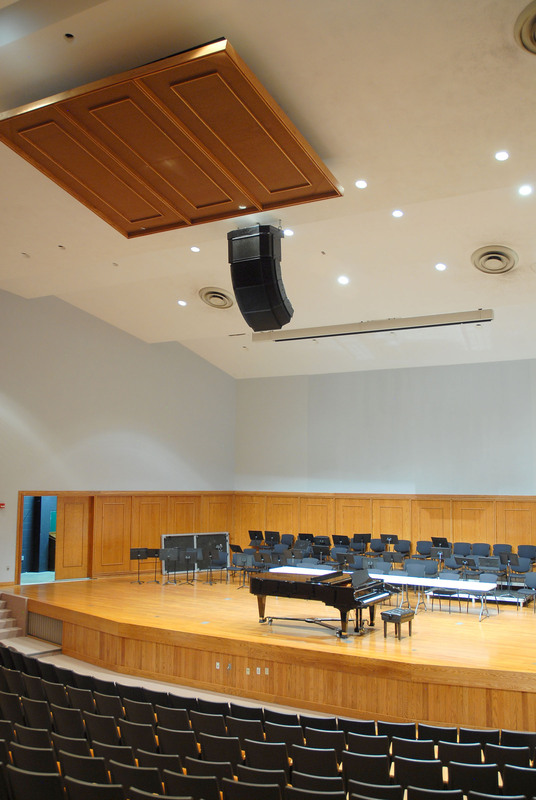 Photo Caption 3: The Fine Arts Theater at Seminole State College of Florida’s Sanford/Lake Mary campus, featuring a RoomMatch® loudspeaker system from Bose® Professional. Bose Corporation was founded in 1964 by Dr. Amar G. Bose, then a professor of electrical engineering at the Massachusetts Institute of Technology. In 2014, Bose celebrates its 50th anniversary as the most respected name in sound. The company remains driven by its founding principles, investing in long-term research with one fundamental goal: to develop new technologies with real customer benefits. Bose® innovations have spanned decades and industries, creating and transforming categories in audio and beyond. Bose products for the home, in the car, on the go and in public spaces have become iconic. From the company’s home entertainment systems and Wave® music systems, to high-quality audio and noise cancelling headphones, digital music systems, Bluetooth® speakers and professional solutions, Bose has changed the way people listen to music.